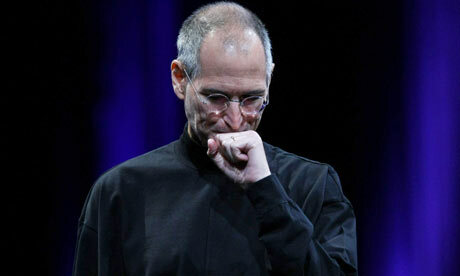 Steve Jobs has decided to take another medical leave of absence, which was granted by the Apple board of directors. Jobs placed Apple COO Tim Cook in charge of the day to day operations of Apple, and left with a final email to employees – you can read that email below. Apple CEO Steve Jobs is apparently continuing to struggle with his issues. On Monday, Jobs requested of the Apple board of directors, and was granted, a medical leave of absence – there was no mention of an expected return date. It is unclear at the moment exactly what the medical issues are that Jobs is facing. According to BusinessInsider.com, it’s unclear if Jobs’ health situation is related to his liver transplant from 2009, whether his cancer has returned, or if there is a new problem. Long term complications to liver transplants can include skin cancer, lymphoma and a host of infections. We don’t anticipate Apple to elaborate, as it has not been forthcoming with Jobs’ health details in the past. We at PeopleBrowsr are thinking positive thoughts for Steve Jobs.